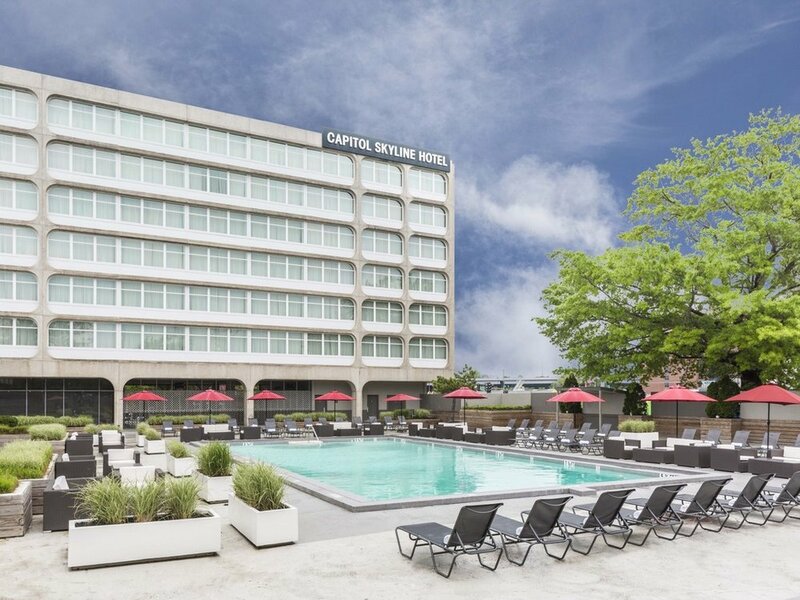 We’ve negotiated a discount for our members at the Capitol Skyline hotel pool – conveniently located just a few minutes away near Navy Yard and Nats Park. Although the hotel used to be known for its crazy pool parties, it’s now much more family friendly, even on the weekends, with tons of comfy seating, cabanas, and shady areas for lounging when you need a break from the water. Elemeno / SkillZone members get 10% off pool memberships and a free kids meal! While the hotel offers day passes to use their pool, this discount only applies to memberships. If you’re interested in taking advantage of this discount, send us an email (contact@elemeno.club) and we’ll help get you started. You can pay in person at the hotel, by mailing them a check, or by filling out their credit card authorization form.